Veal crates are small metal or wooden stalls designed to confine veal calves. This is done so that their meat stays tender and white, fetching higher prices. 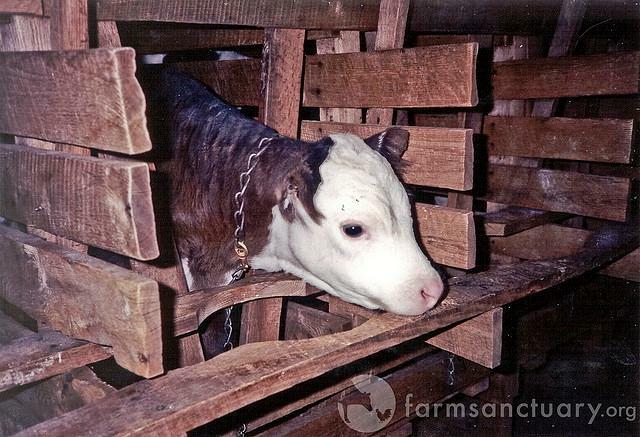 The crates prevent the calves from turning around, laying down comfortably, or excercising. Their waste falls through slats on the floor to a pit below.